When Cisco recently discontinued the Flip pocket camera products, it left many fans of the pocket-sized device disappointed. While numerous users are happy to shoot video with smartphones, Flips were valuable because they were easy to carry, shot high-definition video and could be stabilized via a tripod mount. Although Cisco’s exiting that market, there are still other handheld digital video cameras from Kodak, Creative, Sanyo and Sony that have similar features and could be contenders to ultimately replace the Flip. These handheld video cameras have USB arms that plug into laptops for recharging, and software to easily upload videos to Websites such as Facebook, YouTube and Picasa. Creative was one of Flip’s early challengers in the pocket video camera market, and the company’s latest third-generation Vado HD is one of the smallest and lightest cameras available. Priced at $170, the camera weighs 93 grams (0.2 pounds) with battery, and measures 3.9 by 2.2 by 0.6 inches (98.8 by 57.6 by 15.8 millimeters). The device can shoot 720p video, and has storage capacity of 4GB. The camera comes with a 2-inch diagonal LCD screen and can be connected to a high-definition TV through an HDMI (high-definition multimedia interface) cable. 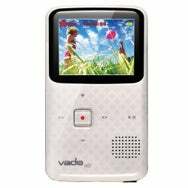 The Vado HD is available on Creative’s website in many colors. To store more video, the second-generation Vado HD is available with 8GB of storage for $160. The device has similar specifications as the third-generation device, but weighs more. 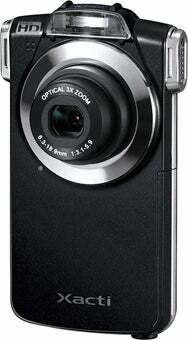 At $170, Sony is offering the sophisticated Bloggie Touch pocket camera. The camera already has a cult following, and as the name suggests, is designed to capture quick videos and images that can be uploaded to social networking and video sites. The camera can shoot 1080p high-definition video and 12.8-megapixel still images. The Bloggie Touch MHS-TS20 comes with 8GB of storage and offers 2 hours of battery life on a single battery charge, similar to the Vado HD. The camera can stabilize shaky images and shoot video in low-light conditions, features shared with the Flip. 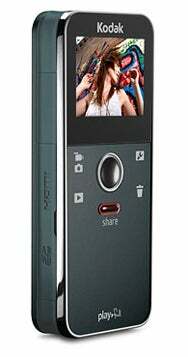 The device includes a 3.0-inch LCD touch-screen, which can display a list of videos and images on the device. But at 125g, it weighs more than the Vado HD. Weight matters with pocket video cameras, but if you can manage the extra heft, the Bloggie Touch video camera won’t disappoint. Sanyo’s Xacti VPC-PD1 pocket video camera separates itself from the competition with the inclusion of 3X optical zoom, which helps capture closer images. The video camera can shoot 1080p high-definition video, and still images at a 10-megapixel resolution. The device weighs about 122 grams and has limited internal storage, but an SD card slot allows for expandable storage of up to 64GB. 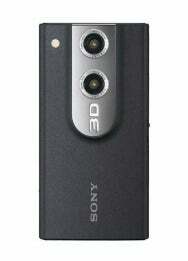 The camera can be purchased through dealers, a list of which is available through Sanyo’s website. One site, Park Cameras, is selling the camera for £99.99 ($163). Kodak sells a range of handheld video cameras priced between $100 and $200. The $150 Playfull is a no-frills video camera that perhaps is most akin to the Flip in weight and size. Like other cameras, it can shoot video at a 1080p resolution and includes image stabilization. The device has 128MB of internal memory, and an SD card slot for expandable storage of up to 32GB. The camera can shoot up to 10 hours of HD video on a 32GB SD card. It includes a 1.5-inch screen, which is a bit of a letdown; competitive devices have larger screens. But at 95 grams, Playfull is light in the pocket, and also one of the cheaper handheld cameras on the market.